HonDUniv in recognition of her commitment to education throughout her working life and for the successful merger of four major colleges of further education in Nottingham to create New College, Nottingham. Dame Patricia, who was Principal of New College Nottingham (NCN) until her retirement in 2003, has received many accolades. When she became a Dame Commander of the Order of the British Empire in January 2000 it was the first such honour at this level to be awarded to anyone within the UK’s FE college system. 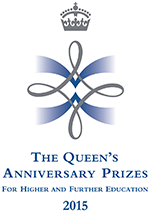 Under her leadership, NCN also secured the Queen’s Anniversary Prize for Higher and Further Education in 2002. Starting out as a lecturer in 1965, she rose through positions of increasing seniority and responsibility. She became Principal and Chief Executive of Nottingham’s Clarendon College in 1991 and subsequently spearheaded the merger of four educational institutions in the city to create NCN, one of the largest FE providers in the UK. Among her many achievements, she led a flagship projected to renovate the historic Adams building, giving the college a stunning new campus and helping regenerate the Lace Market. Dame Patricia’s dedication is underlined by her various professional and voluntary appointments and she remains an active member of regional and national bodies in the field of vocational education, economic development and regeneration.